Natasha moved to Darwin 6 years ago from Sydney with her family. 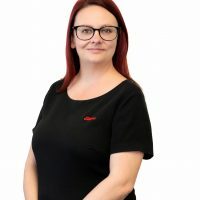 Natasha has been involved with customer service and administration roles throughout her working career, this has allowed her to be able to create meaningful and great working relationships. Tash joined Elders in 2016 as a Property Manager and has since worked with customers across the Darwin and Leanyer Branches. Would you like to speak to Natasha? If you’re thinking about renting or selling your property and you’d like a clearer picture of how much your property might be worth or want to have an informal chat about general property market trading conditions, Natasha will be happy to arrange a full market appraisal of your property.